← Is the Church Ready for a Comeback? Maine winters are long, and sometimes very challenging. This year, February has roared in with storm after storm. In Central Maine, we got about 8 inches last Thursday, 6 more on Saturday, and then the “Snowpocalyse” set in. Between Sunday evening and Monday evening, somewhere between 24 and 28 inches landed in our area. And, that’s not the end. Tomorrow and into Thursday may give us another foot. There are times like this when I wonder what Jesus might have to say, and what sort of faith illustrations he might offer in the wake of mountainous piles of snow and sheets of ice, etc. Maybe something along these lines? Blessed are the cold and frost-bitten, for they shall find warmth. But I say to you, embrace the winter and pray for those who can’t help but complain all the time about the weather over which they have no control. Get thee good outerwear, wool socks, fleece, thermal underwear, and insulated boots—so that you may be children of God, who is in heaven; for God makes the sun to rise on the evil and on the good, and sends snow and sometimes freezing rain on the just and on the unjust. Do not be anxious about tomorrow, for tomorrow will be anxious for itself. There is plenty of shoveling for today, and roof raking. Let the day’s own trouble and challenging weather be sufficient for the day. So I say to you, Ask and it will be given to you, shovel and you will find bare ground, wear ice cleats and you shall not fall, snowblow the frozen precipitation from the door and when you finally get to the door, knock and the door will be opened for you, and there will be soup and hot chocolate. Blessed are those who snowshoe and ski (Nordic and/or Alpine) for they shall see the wonders of God’s creation. I think Jesus would find lots of good faith illustrations in the midst of a Maine winter. Winter often requires a different approach, as there are days when one simply cannot move at the same frenetic pace as usual. There are days when one simply cannot go very far. And, days when one is reminded of the significance of looking in on the well-being of neighbors and of the simple kindness of lending one’s snowblower or offering a word of thanks when a neighbor clears your sidewalk. The weather of winter can be very challenging and getting around can be not only difficult, but hazardous. There’s something to be said for slowing down and for paying attention to those around you. Faith often requires the same. There’s also something to be said for taking a moment to wonder at a world blanketed in snow, those magical frozen shapes of water, no two the same so we are told. Again, the life of faith asks something similar. Winter offers opportunities for reflection and lessons in faith. 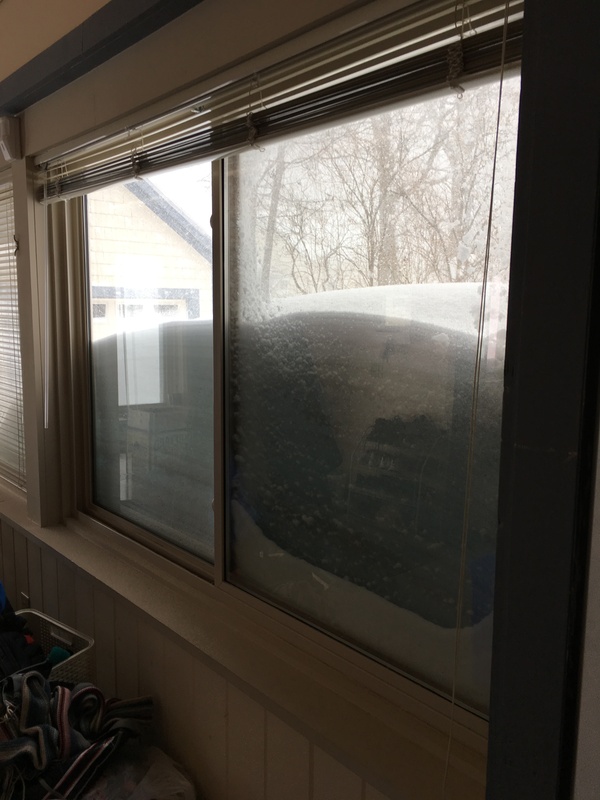 Although our home is beginning to feel a bit cave-like, as the mounds of snow creep up to the top of our first floor windows, we also feel a renewed sense of resilience and endurance. We are afflicted in every way, but not crushed; perplexed, but not driven to despair; persecuted, but not forsaken; struck down, but not destroyed . . . The wind may blow, and the snow may pile up around us, so high as to create snowdrifts that dwarf the tallest man (or woman), yet we are not defeated; though we wonder at the need for such a preponderance of frozen precipitation, our faith will not waver; we may subjected to cold, and seemingly unending storms, yet we know with even more certainty the love of God, because we have experienced the warmth and the light and the presence of God, through Jesus the Christ. This entry was posted in Misc and tagged Maine winter, sayings of Jesus. Bookmark the permalink.